It can be very difficult to tell young hens, or pullets, from young roosters, or cockerels. Many chicken enthusiasts take a wait and see approach to determining the gender of their young birds, but there are signs to look for that will help you determine whether you're raising cockerels or pullets. It takes experience, but the more you try the more you'll learn what to look for. Vent sexing is done in many hatcheries and is considered to be between 90 and 95 percent accurate when the vent sexing process is performed by an experienced individual. Vent sexing requires physically inspecting the shape of the chick's copulatory organs. A number of different shapes exist, and it's unlikely you'll be able to tell the 18 various shapes of male and female vents apart if you don't have the necessary training. Some breeds of chicks can be gender identified based on coloring. Chickens who are considered to have the wild-type coloring patterns are identifiable after hatching due to the color of their down. Male chicks will have two color dorsal stripes and clean heads. Male barred Plymouth Rock chickens have yellow spots on their heads, as do other barred and cuckoo-patterned chicks. 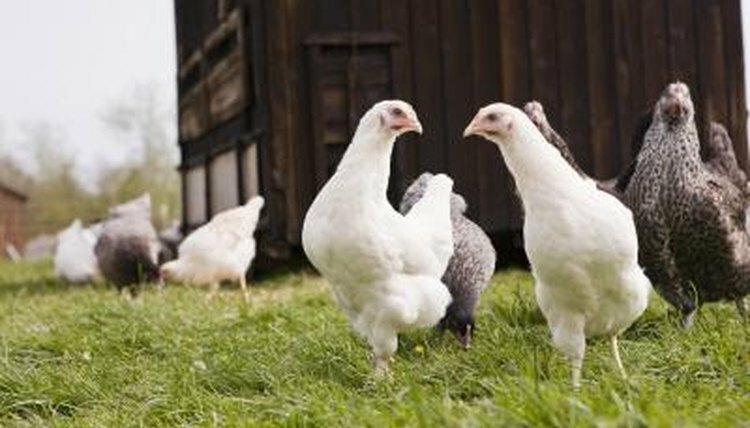 Do your research on your specific breed of chicken to determine if there are early, easily identified color differences between male and female chicks. Young roosters will begin to develop their comb and wattles when they're between 3 and 4 weeks old. By the sixth week you should be able to see the distinctive signs of a comb and wattle forming. The comb is the red, fleshy growth on the top of the rooster's head, and the wattle is the red, fleshy section under his chin. Young roosters will also start to develop breed-specific mature coloring within their first two months of life. Your chicks will reach maturity when they are 5 months old. At this point, your pullets will begin laying eggs and your roosters will begin actively mating with the pullets. Roosters are also typically crowing by this point in their development. How Can You Tell a Rooster From a Hen? Why Does a Rooster Have a Wattle? What Is a Rooster Coxcomb?